From drawings to full service design, David Knoll specializes in designs that emulate historic architecture and contemporary design. ARTIBUS DESIGN is a professional Engineering and Design firm dedicated to delivering exceptional service. We're a one stop destination for all your Engineering needs. Bender & Associates Architects, P.A. is a full service architectural firm with broad experience in multiple projects types: historic preservation and restoration, residential, commercial, office, retail, educational and hospitality. 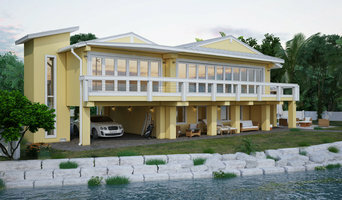 The firm is island-minded and located in the Florida Keys. We are progressive and focused on developing the islands cohesively where residents and nature can exist harmoniously. Our ethics are based upon a doctrine of honesty, transparency, and trust. Key Details Inc. (KD) Offers full Architectural Design, Engineering and Construction Management Services specializing in projects located in Coastal Waterfront Areas. Each of our Management Staff has over 30 years’ experience in design and construction. KD also specializes in working for clients from all over the U.S. who cannot visit the project site on a regular basis. Additionally, our extensive knowledge in working with the U.S. Army Corps. of Engineers, the Florida D.E.P. and numerous Local Building Authorities provides our clientele with beautiful designs that are engineered for the harshest environments. Our Construction Management Services provide the client an advisor who assists with Contractor and Material selections. Monitors progress and verifies the work prior to payment, and obtains all legal documentation while maintaining project accounting. KD's motto is very simple We provide quality services to assure positive results from concept to completion. Florida limited liability company practicing architecture in Key West. Members also own One Call Construction, Inc in Key West. 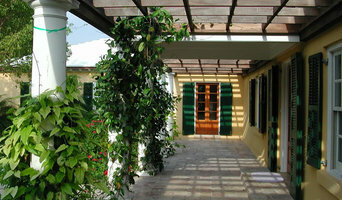 We design comfortable and livable homes centered around the landscapes and lifestyles of the islands. We work with our clients to design their home, from new construction, renovations & additions. William P Horn Architect, PA is a full service architectural firm that has been in business since 1993. 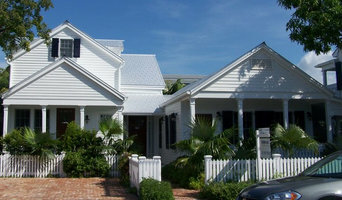 We have successfully completed hundreds of projects within Key West and throughout the Florida Keys. The firm has worked on many types of projects including commercial, governmental, residential, multi-family housing, affordable housing, master planning, sustainable and historic projects. Architecture is much more than the practice of designing and constructing buildings. It's about working with people to produce a vision, create a design, find a solution, and achieve a goal together. Working together to achieve a mutual goal is when the magic really happens. I love the challenge of successfully working through that process with my clients. Currently, I am a licensed Architect in Colorado and Florida. How do I find the best Big Coppitt Key architect for my home design project? It is best to hire a home architect who will be involved in all phases of the design process, from the initial concept to the completed construction. The architect is often the first person you will hire for your project. If necessary, they might also help you select and hire Florida subcontractors, which can include the builders, engineers and landscaper. Interior architects are also involved in negotiating contracts for all involved participants. It is for these reasons that it is extremely important for you to have a good relationship with the Big Coppitt Key residential architect you hire. He or she can be the tie-breaking vote between you and the general contractor and can be your biggest advocate during the construction process. Different architecture firms in Big Coppitt Key, FL provide different services, so the scope of the work can span from pre-design environmental impact studies to selecting furniture and finishes, depending on what your specific needs are. It is very important to hire the right professional for the job. Remember that the most well-known or established designer might not provide the best architectural services for your needs. It all comes down to the individual project. Research and ask people whose work you like for recommendations. It's important to have somewhat of an idea of the style of house architecture that you prefer, as well as the amount you would like to spend. Residential architects in Big Coppitt Key, FL are natural problem solvers. They will assess the entire situation and help you to solve your problems too. Don't settle for a single company too early. Call and interview a few. Make sure that you feel like your personalities will mesh well and that you like their professional perspective. Find a home architect in Big Coppitt Key, FL on Houzz. 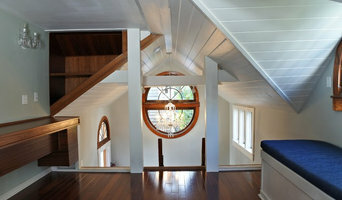 Narrow your search in the Professionals section of the website to Big Coppitt Key architects. You may also look through photos of Florida projects to find interior architects and building designers who have worked on a project similar to yours.